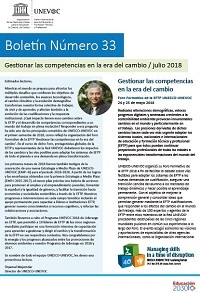 The UNEVOC Bulletin is the newsletter of the UNESCO-UNEVOC International Centre. 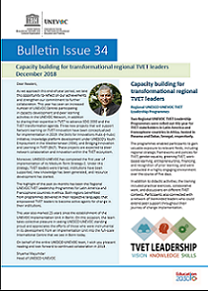 The Bulletin is a means of the Centre to communicate with individual experts and institutions in the field of TVET. It is also a platform for the UNEVOC Network and other TVET agencies to report on their activities. 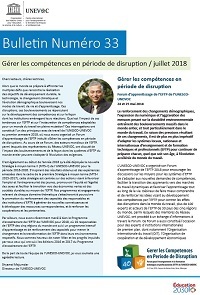 The Bulletin is published in all UN languages. You can subscribe to the mail version of the Bulletin by using the sign up form. 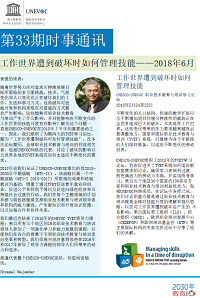 The UNEVOC Forum was a series of longer articles in which researchers, policy makers and practitioners from around the world contribute their views on a key issue, concern or prospect regarding TVET.